Who is a nice kitty? 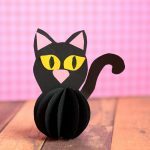 Our Surprise Big Mouth Cat Printable kitty! 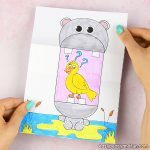 This fun little activity for kids combines coloring with an interactive paper toy that kids will enjoy bot making and playing with. And it’s also pretty cute! 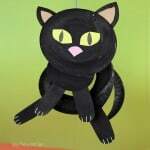 This project is suitable for kids big and small, its fairly easy to make so with some help preschoolers can make it too! 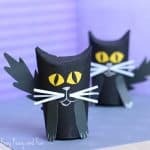 We are fans of cats here, this isn’t our first cat paper toy – just check this cat pop out of the box paper toy, and we have quite a few more planned! 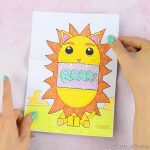 While the pop up cat is suitable for older kids as it has some steps that are a bit harder, this surprise big mouth cat printable is great for all ages. 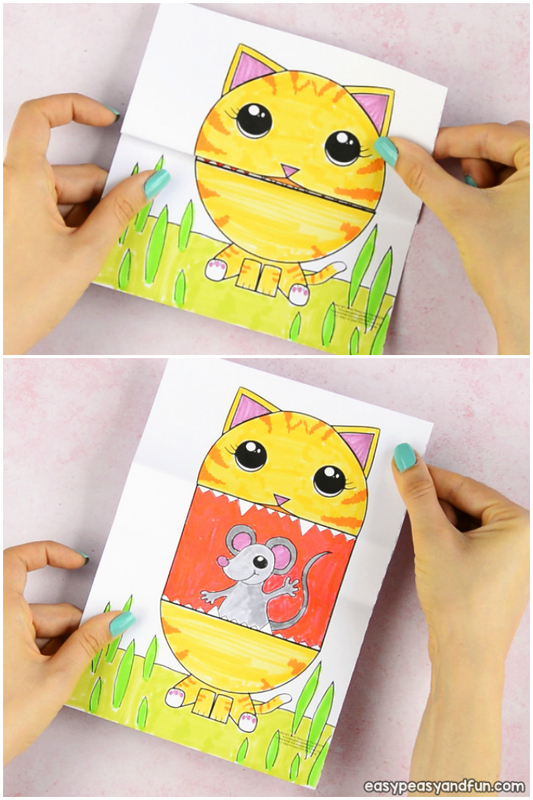 If making this kids activity with younger kids or a large group, do print out template as it’s super handy (it even comes in two sizes), if working with older kids you can also take it as an inspiration for an art project – having the kids draw their own cats. 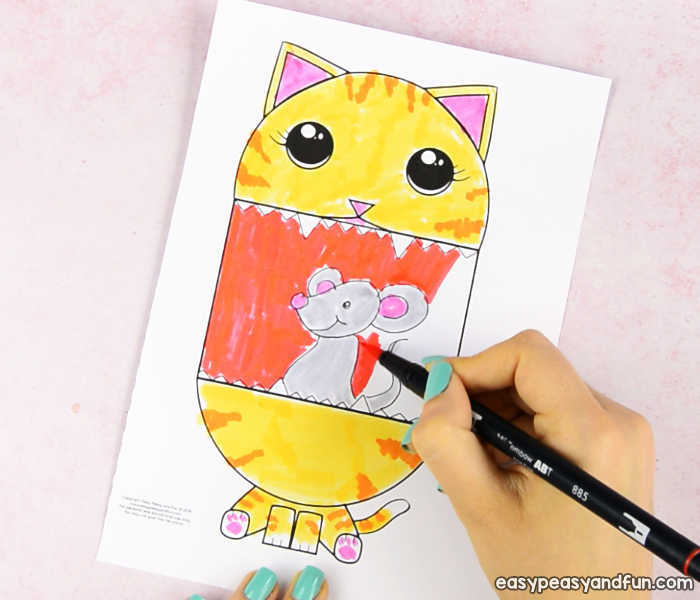 We do have a cat drawing tutorial that might be handy. 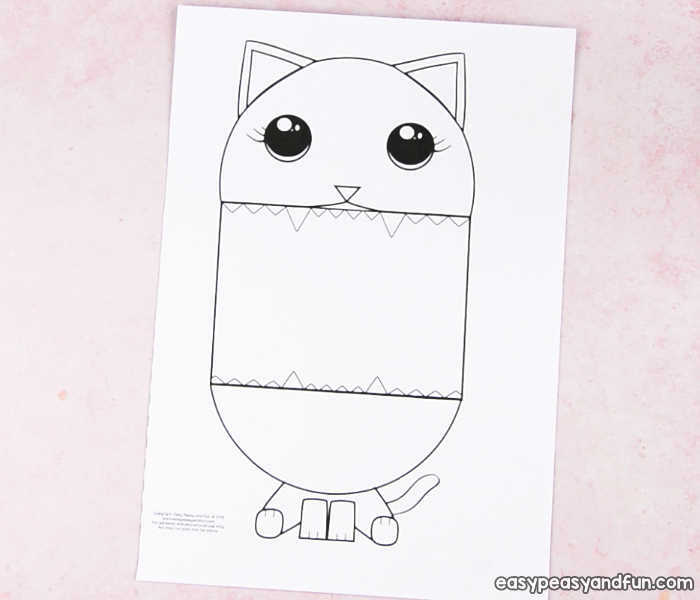 Ready to color in and make your silly little mouth opening cat? Let’s craft! 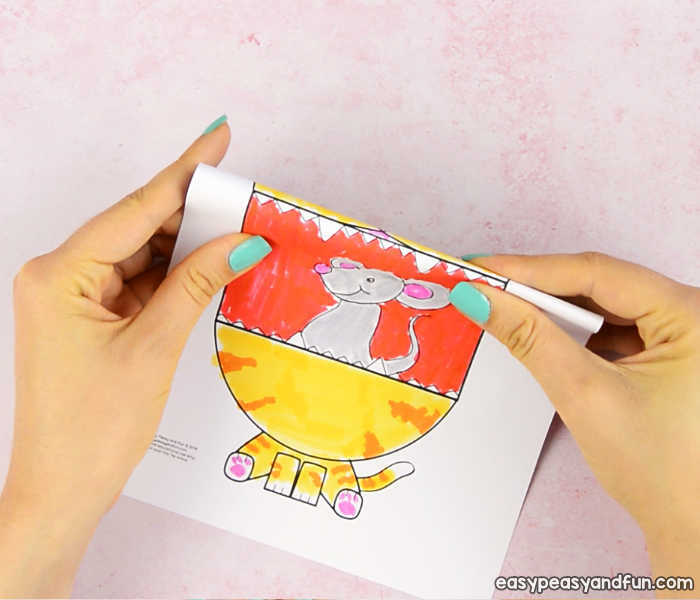 Start by printing out our template or drawing a cat of your own. If printing our template we really do recommend using heavier print paper as it will make your paper craft more durable. The folding might be a bit trickier but it is worth it. Once the template is printed it’s time to color in the design. You can leave the background white or color it – if you are feeling extra creative you can even draw extra details like grass and such. Or a mouse in the cat’s mouth ;). As cats come in a variety of colors, choose your favorite one. 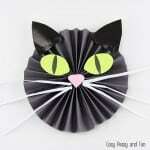 You can also go beyond the regular colors – why not make your kitty pink! All colored in? Great! Let’s move to the folding. 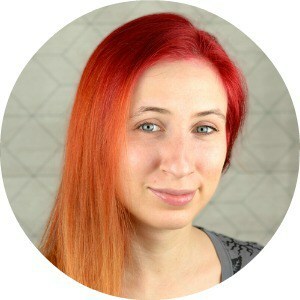 Not much folding is needed – start by folding along the top lip line – across the whole paper width. Make sure your folds are crisp – run your fingers across the folds, or even better use a tool like a craft stick. Next, bring the fold you just made to the bottom lip line and press the paper down. This will make another fold inside the mouth. Again, make it a crisp one! 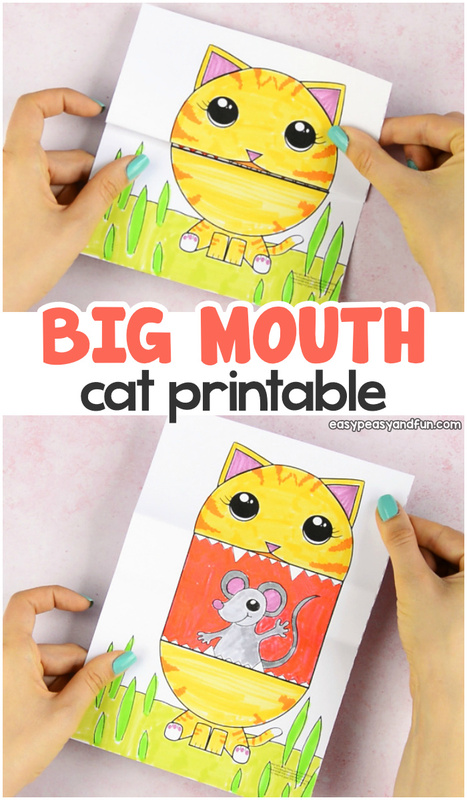 And that’s all that there is too it – you’ve just made your Surprise Big Mouth Cat Printable craft.